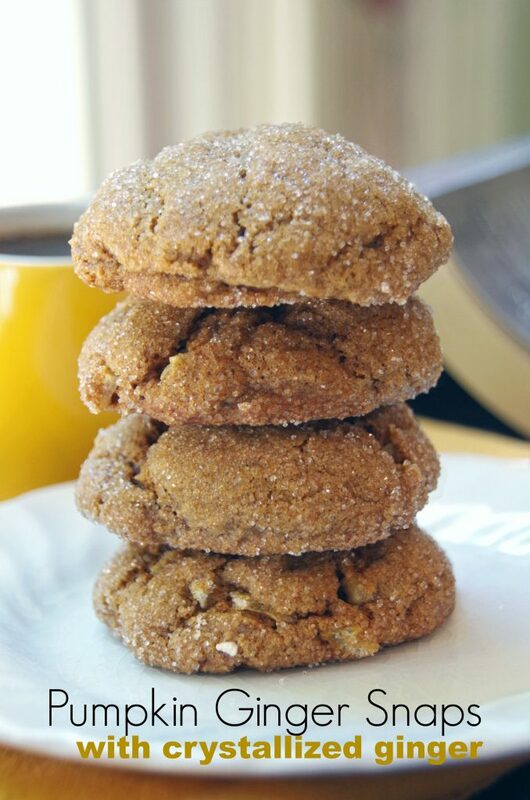 As I sit here typing up this recipe, I am truly amazed that any of these pumpkin ginger snaps actually survived long enough for me to photograph them. In fact, I am amazed that the dough lasted long enough for me to actually bake the cookies at all! Ginger snaps are one of my all time favorite cookies, especially during the fall. Warm spices like cinnamon, ginger, and cloves all blended together with pumpkin and molasses just cry out for me to curl up under a blanket with them and read a book. I have memories of my childhood when I begged my mom to lick the molasses spoon. I still do that even as an adult! Keep reading for a delicious ginger snap recipe along with a few affiliate links that may be helpful. I have been making a ton of pumpkin recipes this week. Whether it’s pumpkin pancakes for breakfast or pumpkin cocktails for happy hour, pumpkin is a huge favorite in my house and I stocked up on canned pumpkin so I wouldn’t run out. Yes, I could actually cook and puree a real pumpkin but that is just way too much work. Although it does have the side benefit of providing tasty pumpkin seeds! 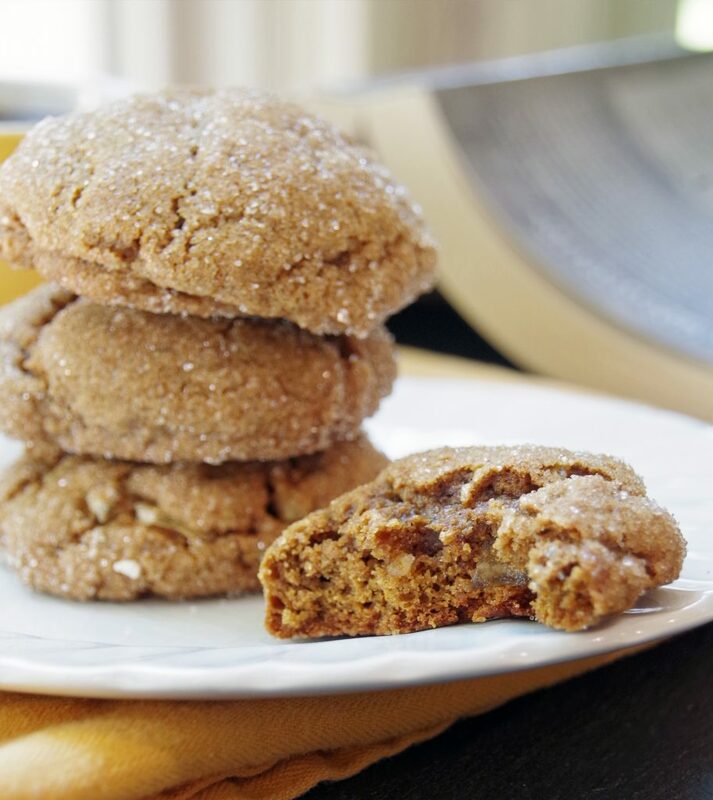 If you love pumpkin as much as I do, adding it to these pumpkin ginger snaps just makes perfect sense. 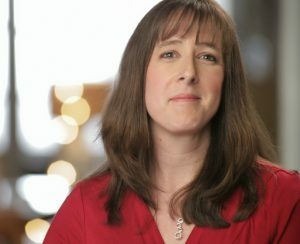 When I was pregnant with my daughter, I suffered horrible morning, afternoon and evening nausea. I ate my weight in ginger snaps to help relieve the constant stomach upset. I definitely became very picky about my ginger snaps. I love a really strong ginger flavor and for this pumpkin ginger snap recipe, I added crystalized ginger chips. Seriously, those things are absolutely divine and while you COULD skip them, I highly recommend you pick some up to really kick up the ginger flavor of these delicious cookies! These pumpkin ginger snaps are loaded with the bold flavors of molasses and ginger, with crystalized ginger chips for added flavor. An easy and delicious pumpkin cookie recipe. In a large bowl, beat the butter and sugar until creamy. Bake in a 350 degree oven for 10 to 12 minutes. Cookies should still be soft but edges will be starting to crack. Place on wire rack and cool completely before storing in sealed container. 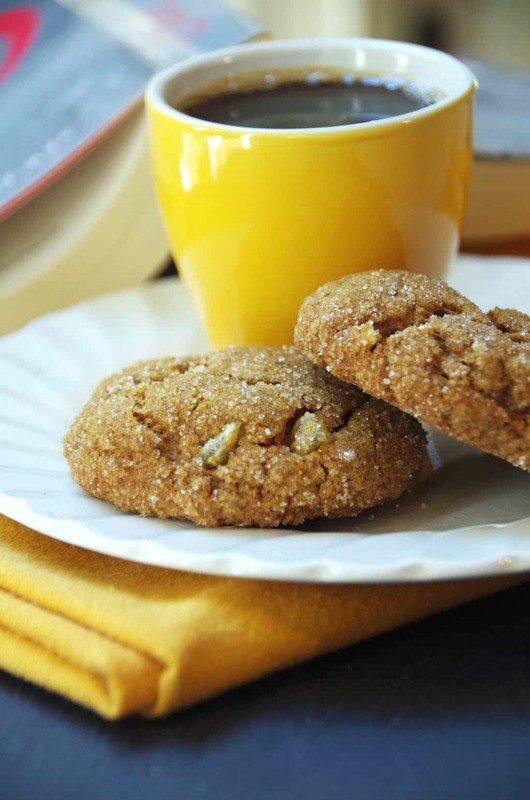 Want to try these pumpkin ginger snaps for yourself? Pin for later! Want a cocktail recipe to warm you up on chilly fall nights? 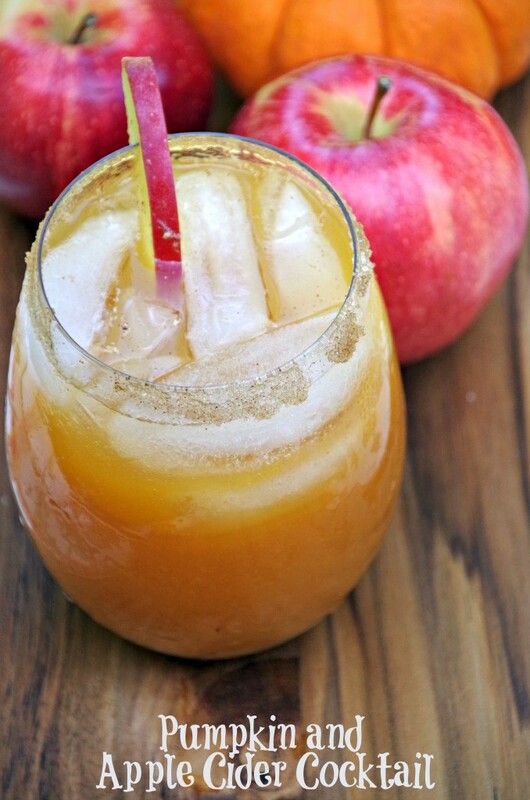 Try this apple cider and pumpkin cocktail recipe! I noticed you have 1 tsp. of ground cloves listed twice for the pumpkin ginger snaps. Is that a typo? I could not see where it was used twice in the recipe. Sorry! That was a typo and has been fixed! When do you use the molasses it’s not listed in the recipe? sorry about that! Updated the recipe. Add it with the other wet ingredients.